We use X-Rays to accurately and objectively measure the shape and alignment of our patients’ spines. These x-rays aid in correct diagnosis and allow us to develop the best possible corrective plan for the best possible results. With our own digital x-ray machine on site, this process is made quick, convenient and affordable. We have picked up many broken bones, arthritis and other conditions that otherwise would have been missed. 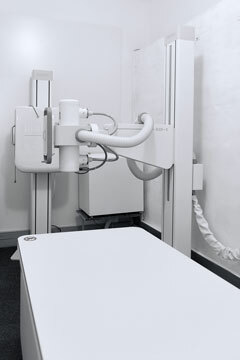 We do take all general x-rays – but no mammograms, no ultrasound scans, no bone density scans and no MRI scans. The X-Rays are sent off for a radiologist report, which you will receive along with a copy of the images on cd. At Align Corrective Chiropractic we pride ourselves in our short waiting times, top-class service and personal yet professional attention to your general radiography needs.